Here is another hands on alphabet activity to help preschool and kindergarten kids learn their letters. 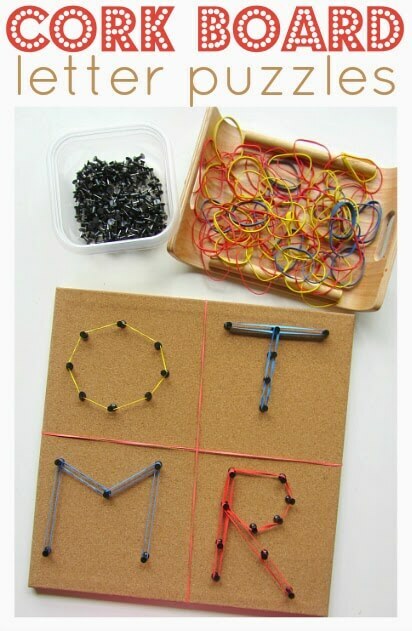 I love this simple, fun, hands on way for kids to learn and practice their alphabet letters. Get the full directions for this super creative Cork Board Letter Puzzles from No Time for Flashcards.